Going to different summer events like BBQ’s and parties are fun, but I’m always looking for new ways to make a statement and have a little more fun dressing up. Sometimes it’s even fun making weekend activities and adventures into an outing that feels event-like just by dressing up. Nate and I teamed up with OppoSuits to show you their bold and fun suits to make your next event a memorable one and show up making a statement. OppoSuits makes both long and short sleeve suits with fun patterns and colors with all types of themes. You can get an assortment of solid colors like pink, blue and yellow or fun patterns like pineapples and flamingos, or you can even get holiday specific suits. They have a suit for every occasion you can think of. Besides making mens and kids suits, they also make suits for woman as well…which I think is pretty rad! I actually let Nate pic our matching suits and I thought for sure he was going to go with the super hero, but I think mommy rubbed off on him and he went with a colorful 90’s pattern suit. 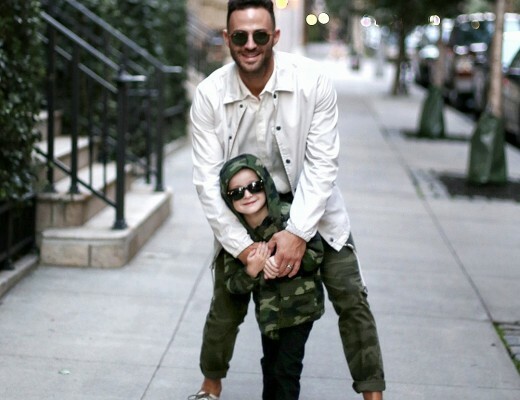 Even though I dug his choice, I could tell right away that no matter what suit we chose, when we threw on these matching outfits we were for sure going to turn some heads! (and we did) The first thing I thought of when I saw this suit was Saved by the Bell. I guess that would make Nate Zack. But does that make me Screech or A.C. Slater? LOL I’m hoping A.C. This past weekend we wanted to head down to Coney Island for the day and take Nate on some rides at Luna Park, so I felt like it would be a fun opportunity to make going to an amusement park a little more fun by gettin’ dressed up in our Testival suits! I could not believe how many people came up to us saying how much they liked our outfits and how cute we looked. We looked like we knew how to party! LOL To be honest, at first, I was a little nervous on how Nate was going to react in his louder than normal attire. I feel like now that he’s getting older I notice he can tend to get embarrassed when he thinks he might garner some extra attention. However, he wasn’t phased at all! He was just strutting down the boardwalk like it was his runway! I really like the fact that the suit I wore came with shorts, a short-sleeve jacket, and a tie…which makes it perfect for summer events. They also had the same suit in long sleeve as well. I really liked how the shorts fit and I can see myself wearing this shorts pattern with a solid top in more of my day-to-day fits as well. 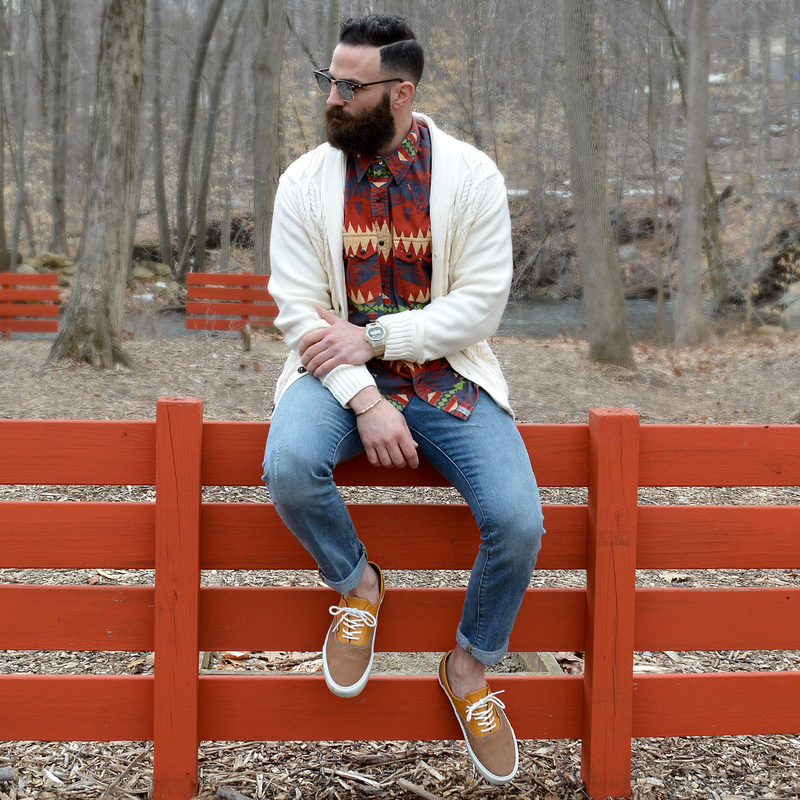 I’m not afraid of the bold colors from time to time! 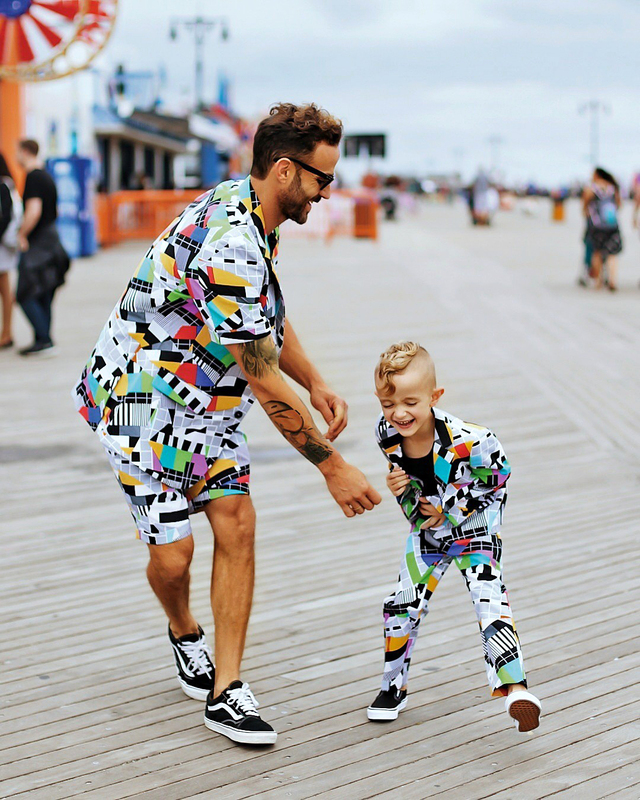 We really had such a fun day in Coney Island last weekend, and I honestly think dressing up bold and colorful and twinning with my mini-me played a part. It just made the day feel a little more festive! 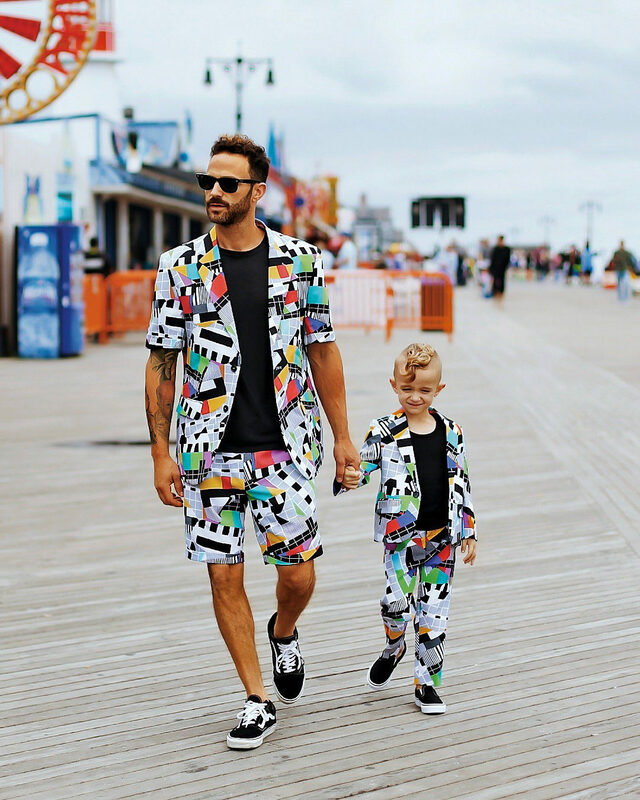 Check out OppoSuits for more fun prints. I’m also diggin’ the pineapples and palm trees!